Samsung disappointed quite a few buyers by limiting the Samsung Galaxy Note 5's storage at 64GB. It added to the frustration, as there was no miscoSD slot in the flagship device. 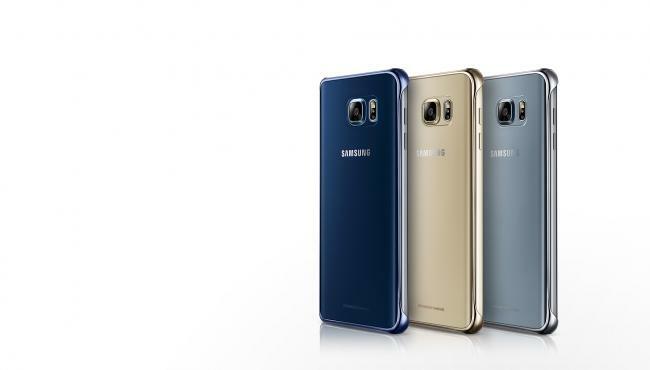 The company has unveiled a special Winter Edition Galaxy Note 5, the only Note smartphone with 128GB of internal storage. The new Note 5 will feature a 5.7-inch QHD (2560 x 1440) Super Amoled display and inclusion of the stylus can make this note a threat to the Apple's iPhone 6S Plus, which already comes in a 128GB variant and features a 5.5-inch screen. 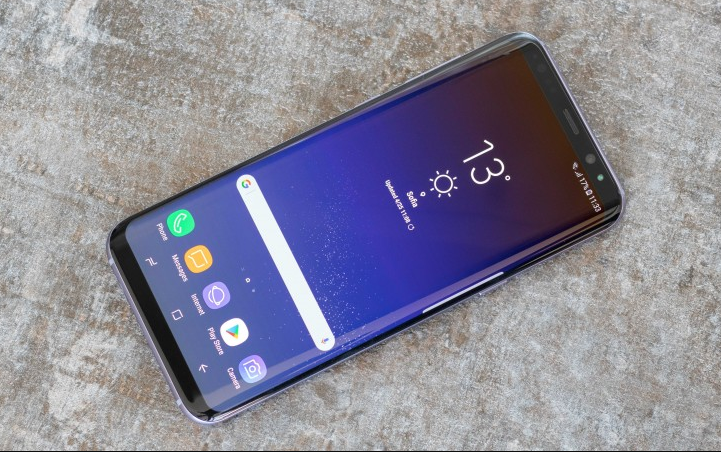 But, the Winter Edition needs to connect with consumers outside of Korea to boost the Samsung's sluggish sales numbers. This device is powered by company's own Exynos 7420 octa-core SoC, Mali-T760 MP8 GPU, and backed by 4GB of RAM.. But, note that the microSD slot is still not available. Other features include a 16-megapixel snapper in the back with OIS (f/1.9 aperture), a 5-megapixel camera in the front. The battery will be non-removable and it'll be of 3000 mAh. It can connected via 4G LTE, 3G, Wi-Fi, and other standard connectivity option. This winter edition will also have a fingerprint scanner. The Samsung Galaxy Note 5 Winter Special Edition is available at KRW 999,900 and is being sold via SKT and KT mobile carriers. Samsung Galaxy Note 7 with 6GB of RAM and 128GB internal storage reserved for Asian markets? It was a big disappointment to many of the Samsung fans who were waiting eagerly for the Note 7, when it came with just 4GB of RAM and the same SD 820 SoC seen in the S7-series. However, latest reports seem to be indicating that the Asian markets such as China will actually be getting the 6GB variant after all. The rumors were further bolstered when president of Samsung Mobiles, Koh Dong-jin said, "We are considering launching Note 7 with a 128 GB internal storage capacity for the Chinese market, even though the handset made its global debut with a 64 GB memory,"
Although this statement by Koh Dong-jin does not exactly mention anything about a 6GB RAM variant, he did state further that, "We will continue to accept different needs from each marketplace, and respond by releasing localized products by changing memory capacity or color." As you can probably guess, this strategy is a direct result of stiff competition from Chinese manufacturers like LeEco, Vivo, and Xiaomi. 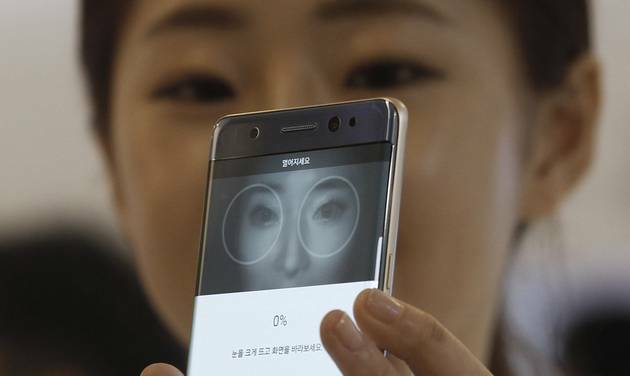 All of this was declared during the unveiling of the Galaxy Note 7 in South Korea with a price tag of 988,900 WON or roughly $897. Apart from the Silver Titanium, Blue coral and Gold Platinum colors, the Note 7 will also be available in Black Onyx from October onwards. Tags: samsung galaxy note released 128gb inbuilt storage samsung galaxy note with 6gb ram 128gb internal storage reserved asian markets? The Galaxy C9 Pro was released just a few months ago with a mid-range SD 653 SoC and 6GB of RAM (Samsung's first and only till date). The C7 Pro had a more modest 4GB RAM and a less powerful SD 626 chip inside. However, both devices did pack 64GB in-built storage right out of the box. In a move that's becoming typical among all smartphone manufacturers, the South Korean tech giant is about to launch 128GB versions of these two devices in the near future as well. According to multiple reports from various media platforms on the internet, 128GB versions of both the devices have apparently made an appearance on the Chinese certification site TENAA. In fact, reports are also suggesting that even the Galaxy C5 Pro will be receiving a similar upgrade to its internal storage. There is no news on whether or not Samsung will make these handsets China exclusives first and then release them to the other countries just as it did with the C-series initially. We will find out soon enough. In the meanwhile, let us know if this is what you wanted from Samsung? Good news for our Indian readers; the Galaxy S8+ with beastly specs like 128GB ROM and 6GB RAM has now been launched in the country by Samsung. The black-only phones will be up for pre-order on Flipkart from June 2 and will be go on sale from June 9 across all offline and online partners of Samsung. Although it was previously believed that Samsung will keep this version of the smartphone exclusive to South Korea, it seems like the company has changed its plans. Keep in mind though, the 128GB/6GB Galaxy S8+ will set you back by Rs 74,990 or roughly $1165! If you thought the iPhones were expensive in India, Sammy doesn't seem to be too far behind either. Now that the initial excitement of the news is over, the question is, should you get it? For a premium of Rs 10,000 ($155) more than the price of the regular S8+, you are getting double the storage and 2GB of extra RAM and to be honest, it wouldn't be a bad deal at all, if the S8+ was already not so expensive in the country. Crazy taxes in India make foreign made electronic devices cost way more than they do in the US or just about any other country and the S8/S8+ is no exception to this rule either. Nevertheless, if you can afford it and you wanted a S8+, I don't see why you shouldn't buy one either. 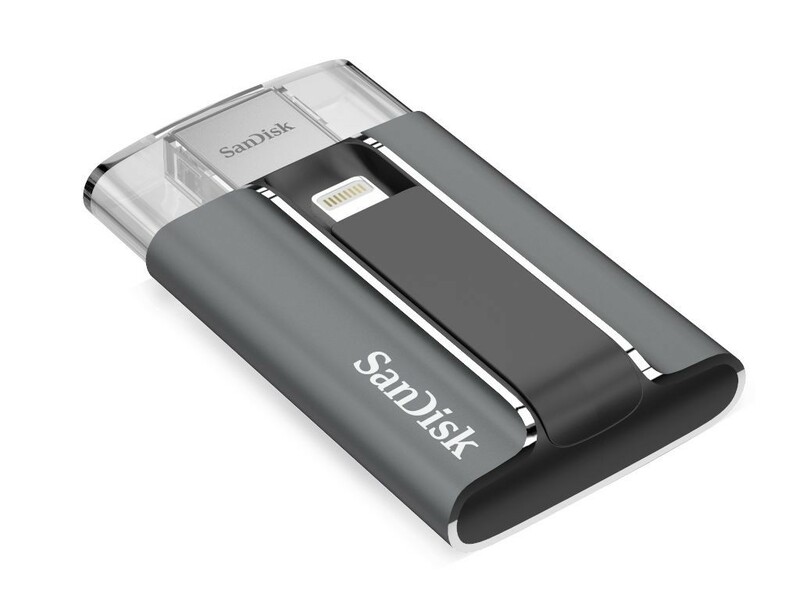 SanDisk is now offering a new 128GB iXpand Flash Drive. When used with the new iPhone 6, iPhone 6 Plus, iPad Air 2 or iPad mini 3 128GB models, the new iXpand Flash Drive instantly doubles the available storage for photos and videos, music, and other multimedia files. The flash drive is encrypted and can be unlocked with the users's fingerprint, Apple Touch ID. The well-rated and full-featured iXpand Sync app, available on the App Store for iPhone and iPad allows users to automatically sync, backup and transfer photos and videos. 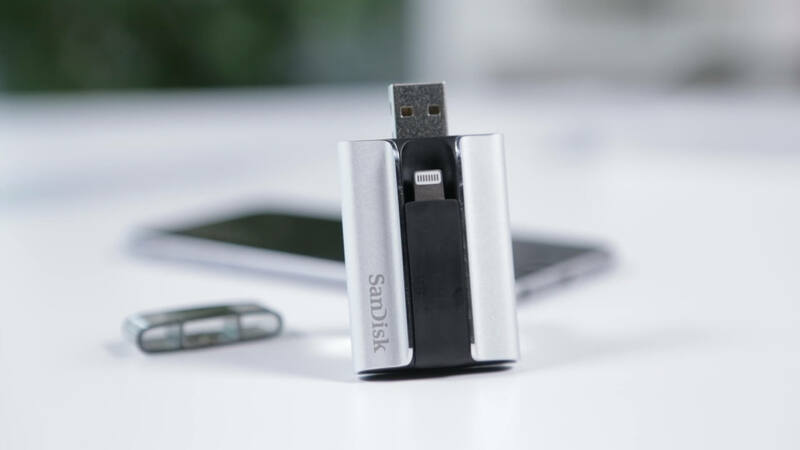 SanDisk also said the iXpand Sync app has added support for Apple's Touch ID sensor for iOS 8 that will allow owners of the iPhone 6, iPhone 6 Plus, iPhone 5s, iPad Air 2 and iPad mini 3 to open, encrypt and decrypt apps and files on the iXpand Flash Drive with just their fingerprint. The 128GB version of the iXpand Flash Drive is on sale now for $149.99.